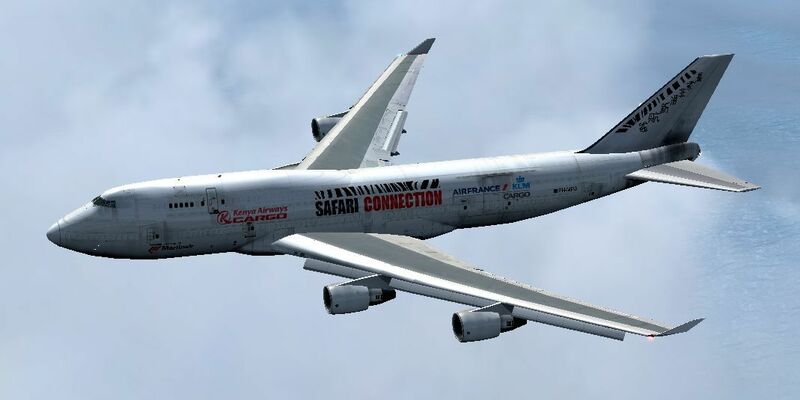 This is the B747-412 BCF Of Martinair Safari Connection. An association between KLM Cargo, Air France Cargo, and Kenya Airways cargo. Owned by Martinair. This plane flies an triangle from Amsterdam to Africa, to china and back, all flights fully loaded with flowers and other goodies. Model from Project Open Sky included. Repaint by Mees Jansen. 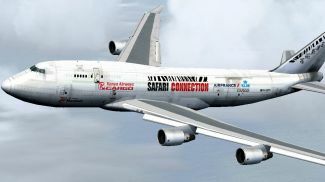 Screenshot of Safari Connection Boeing 747-412BCF in flight. 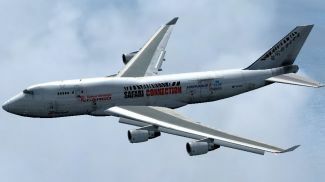 Just unzip the folder called: POSKY747-412BCF into your Airplanes folder located in: C:/ProgramFilesx86/Microsoftgames/Microsoft FlightsimulatorX/SimObjects/Airplanes. Then unzip all the sound files, to your main Sound folder located in your Microsoft Flight Simulator X folder. The archive posky_747-412bcf_martinair.zip has 291 files and directories contained within it.